This is the perfect summer side dish. Place the garlic, red wine vinegar, parsley, basil, lemon zest, capers and olive oil into a hand-held blender and blitz until combined but still coarse. Check the seasoning and add salt and pepper if needed. Chop the echalions lengthways into four quarters and drizzle with a little olive oil. Place in a smoking hot griddle pan to cook until they are soft and slightly charred but still hold their shape. Set aside. 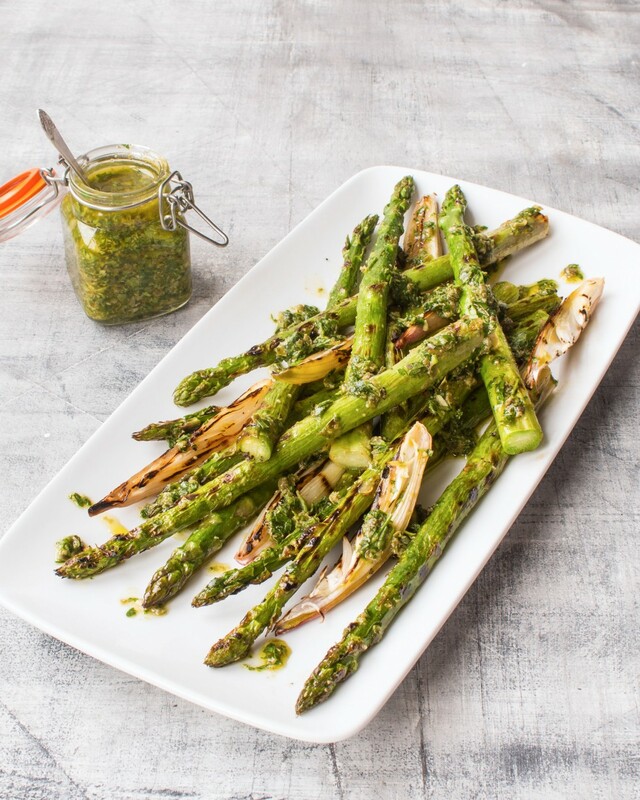 Arrange the asparagus and echalions on a plate, then spoon over the salsa verde.